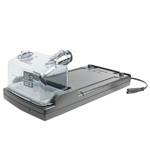 A CPAP Heated Humidifier is home to a water chamber, which it heats to moisturize the air provided by your machine. Together they are ideal for those who find that the machine is leaving them with a dry mouth, sore nasal passages or simply find the air cold and therefore very uncomfortable. Normally, they are an additional piece of equipment that fits onto or into your main CPAP machine, but some CPAP machines come with a built-in humidifier. Many machines have their own specific humidifier available. For a few, humidification is an essential part of their therapy, but for others, there is little benefit, so it really boils down to your personal preference. Thus those using a full face mask are more likely to require humidification as they are particularly susceptible to a dry mouth. For those using an oral mask, humidification is more or less essential. For most machines they can be bought and integrated separately, so you could just order your machine without one and see how it turns out. If you feel the air is too uncomfortably cold, or you are suffering from dryness in the mouth or nose, then you can order the humidifier separately. However if you already wake up with a dry mouth, then CPAP is only likely to increase it. So it is highly recommended that you purchase one immediately. For those unsure, just see how you get on without before committing. Respironics REMstar M Series Integrated Humidifier is made specifically for the Respironics M Series CPAP and BIPAP machines. It is designed to deliver continuous humidification throughout the night to eliminate nose dryness. Cool pass-over style humidifiers allow the airflow to pass over a pool of water and subsequently pick up water vapor by free evaporation. It is easy to use and easy to fill. Fisher & Paykel HC150 Heated CPAP Humidifier is also a good product which offers many of the humidification benefits, which results in more comfort and increased patient compliance. It features Ambient Tracking which balances humidity to compensate for changes in room temperature, therefore minimizing disruptive condensation. The patient receives the benefits of heated humidification without the annoying issues related to excess condensation in the tubing. Hudson RCI Neptune Heated Humidifier has the flexibility to deliver the perfect balance. It features universal, intuitive icons which minimize training time and facilitate ease of use. It can be used across the continuum of care from neonates to adults and eliminates the need to change equipment as treatment advances. 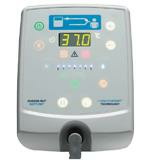 Respironics REMstar Heated Humidifier is for use with certain REMstar CPAP devices. 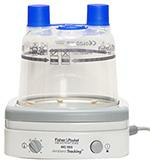 The humidifier moistens the air delivered by the REMstar CPAP devices. The humidifier controls are on the CPAP unit and it plugs directly into the unit, so there is only one plug going into the wall. The unique, tubeless platform brings heated humidification to a new level. Its clear, two-piece water chamber is easy to fill and is dishwasher safe.